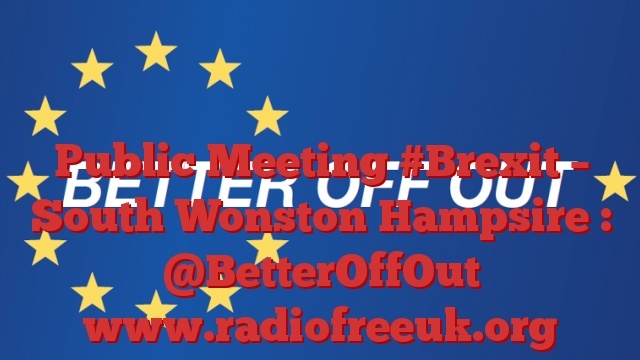 This week our podcast comes from the village of South Wonston in Hampshire where Better Off Out had a public meeting in the village hall. The speakers were Ray Finch, UKIP MEP for the Southeast, and myself. The first voice you will hear is that of myself, followed by Mike Kenney who chaired the meeting and organised it. Full credit to Mike for organising a great meeting and for attracting a lively audience of nearly a hundred people who ensured a lively discussion.